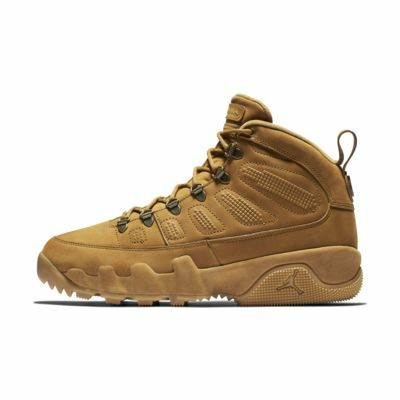 Inspired by design elements from the Special Field Boot, the Air Jordan 9 NRG Men's Boot features a water-resistant coating and heavy tread, plus a durable leather and suede construction. Zoom Air units in the heel and forefoot provide plush, lightweight cushioning. 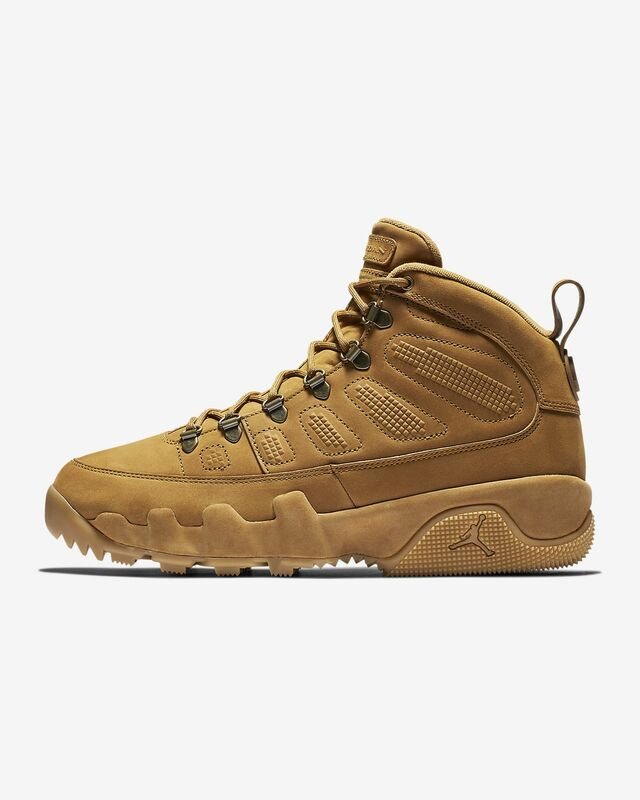 Inspired by design elements from the Special Field Boot, the Air Jordan 9 NRG Men&apos;s Boot features a water-resistant coating and heavy tread, plus a durable leather and suede construction. Zoom Air units in the heel and forefoot provide plush, lightweight cushioning. Got these a couple weeks ago, wore them once, they're comfortable and TTS love the wheat color . They are durable and very comfortable shoes. I love the way they fit and are a great price.